Andrew Vowell submitted this photo and caption. I marched two seasons in the Pioneer pit aging out in 2009. 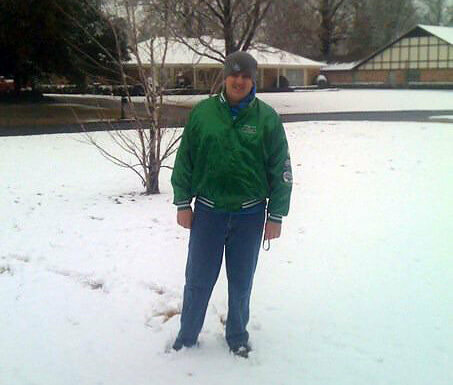 This a picture of me in my corps jacket in Louisiana where we got six inches of snow. That's an astounding amount for the South!